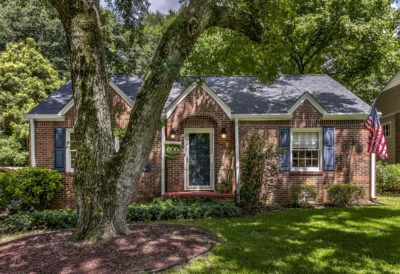 SOLD in 20 days for 97% of list price! 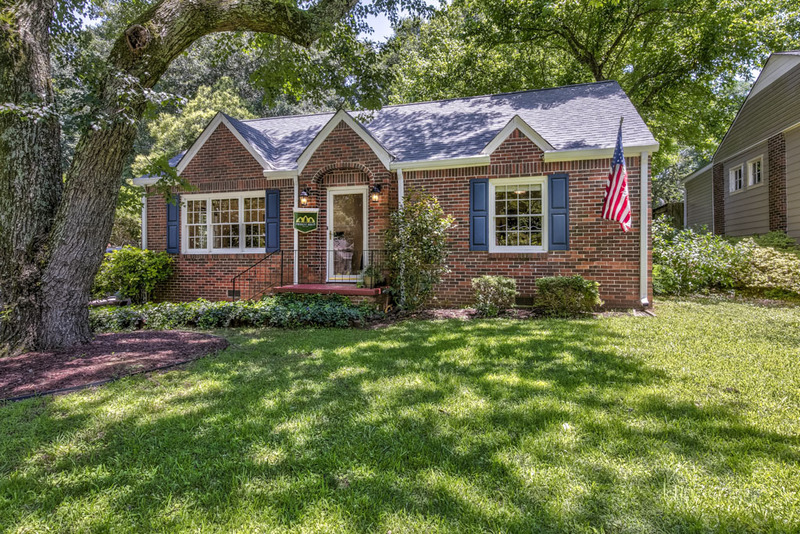 Picture perfect 1950’s renovated 4-sided brick bungalow in Forrest Hills with 3 bedrooms and 2 full bathrooms. 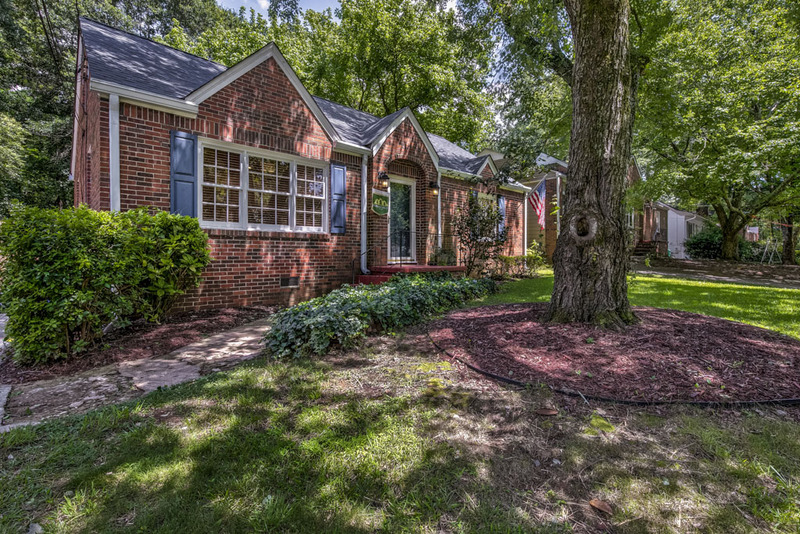 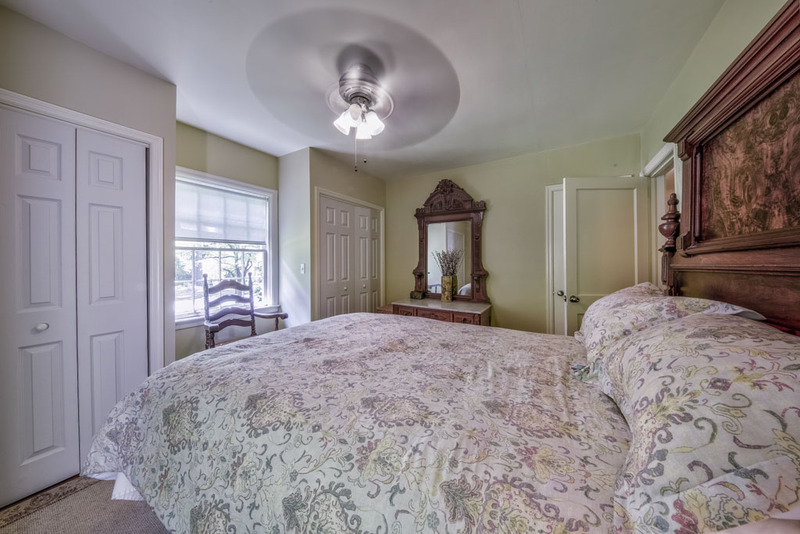 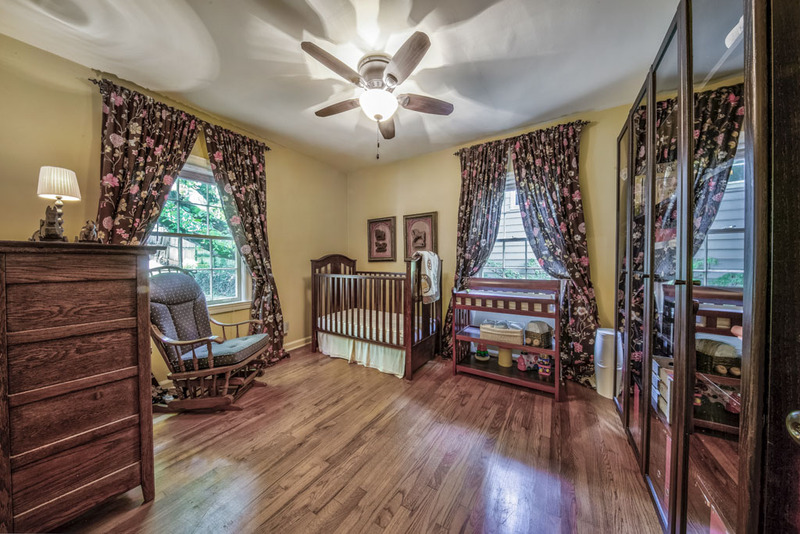 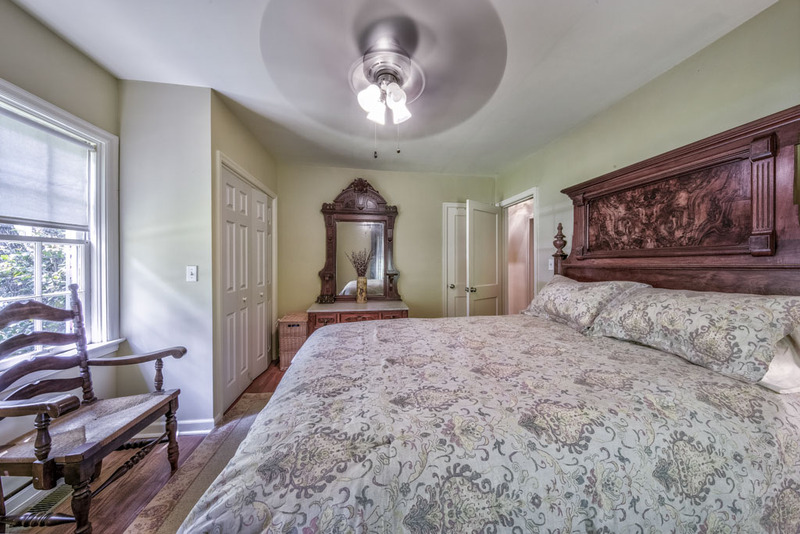 Close to Oakhurst, downtown Decatur, and Avondale Estates, but without the city taxes! 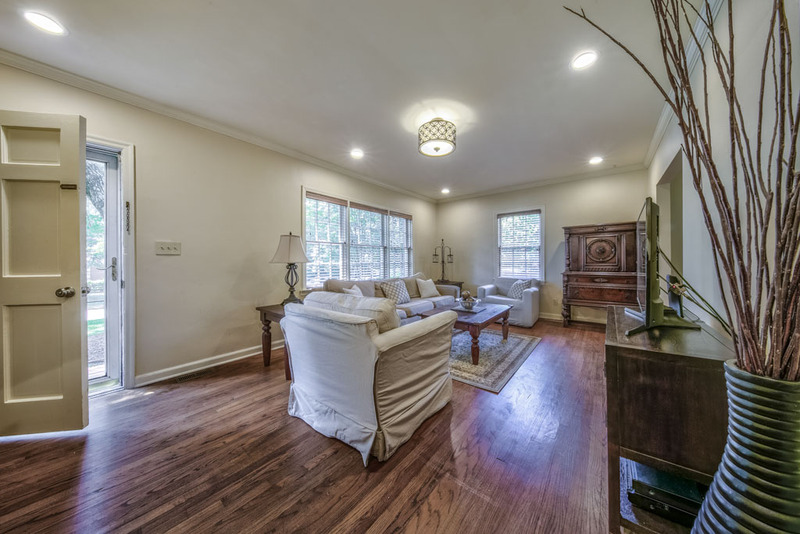 Enter through the front door into the spacious light-filled living room with new recessed lighting. 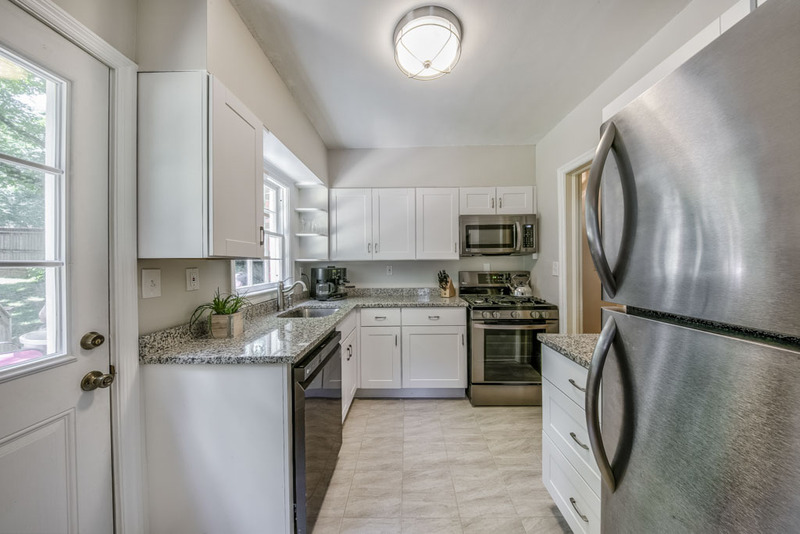 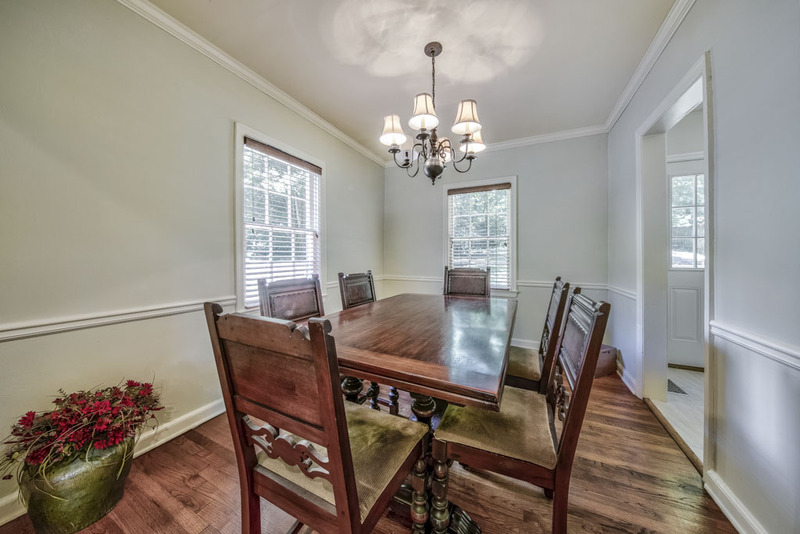 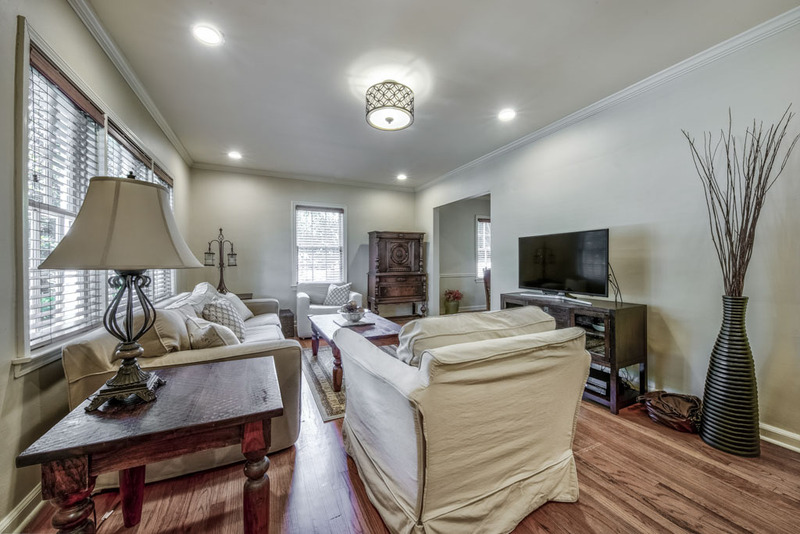 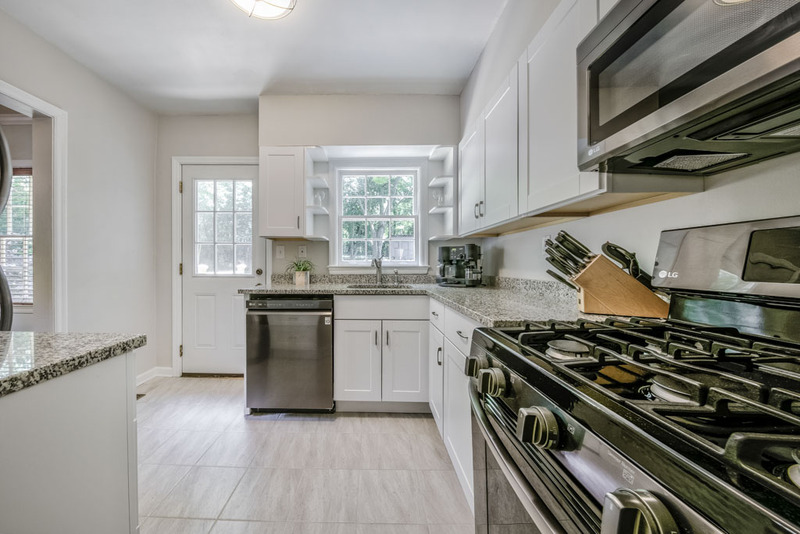 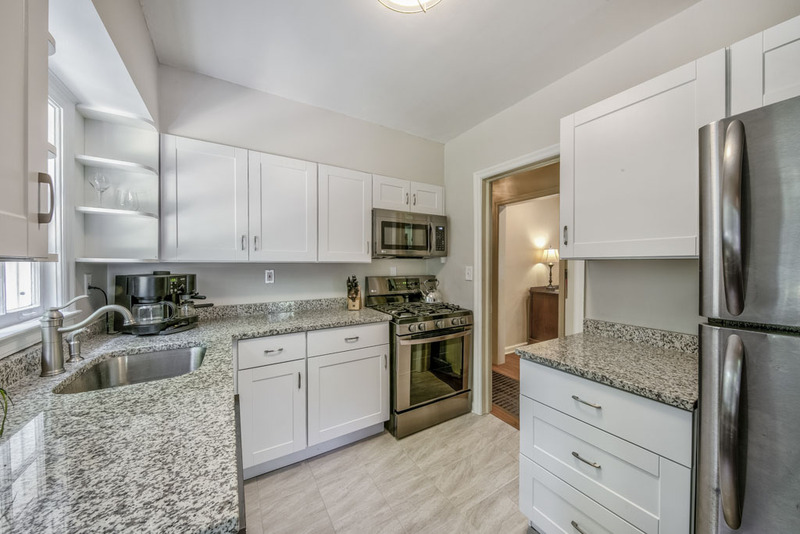 Off the living room and through the separate dining room you will find the newly renovated kitchen with gorgeous granite countertops, stainless steel appliances, and white cabinets. 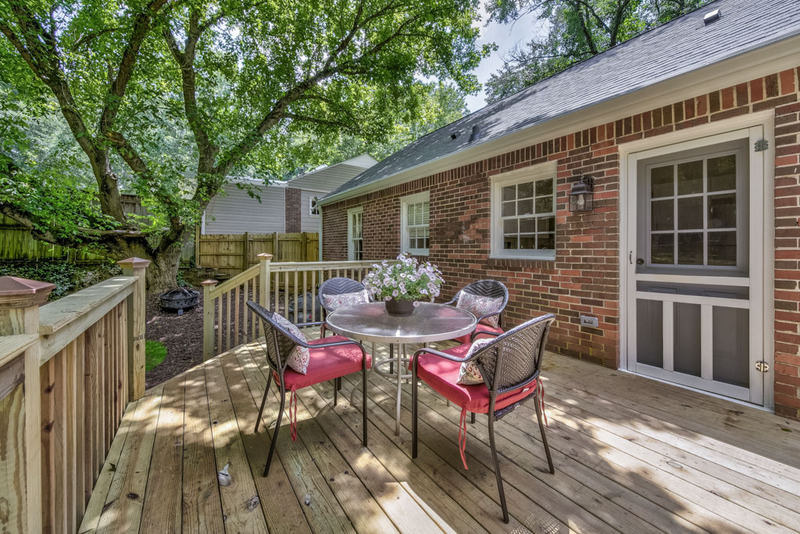 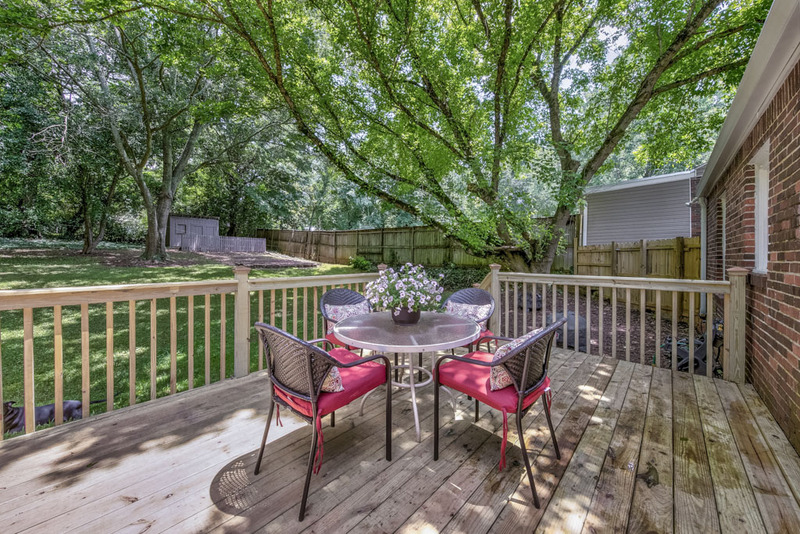 Make your way through the door off the kitchen to the brand new back deck overlooking the huge private backyard. 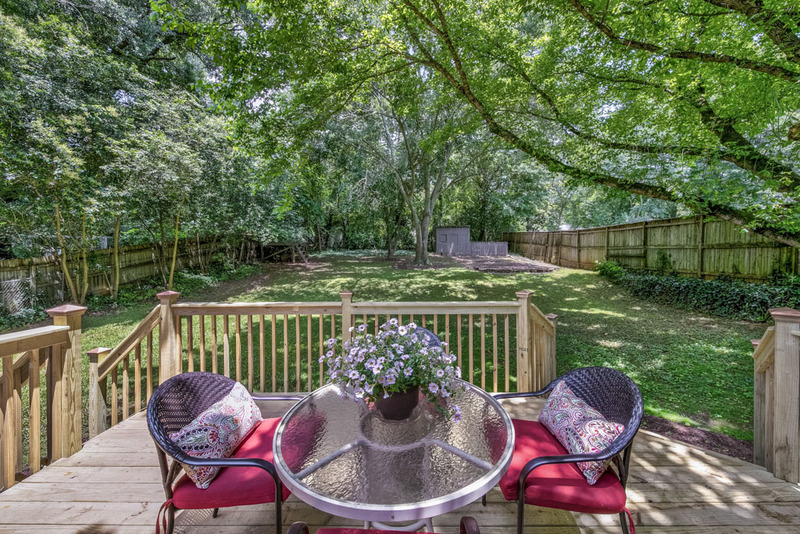 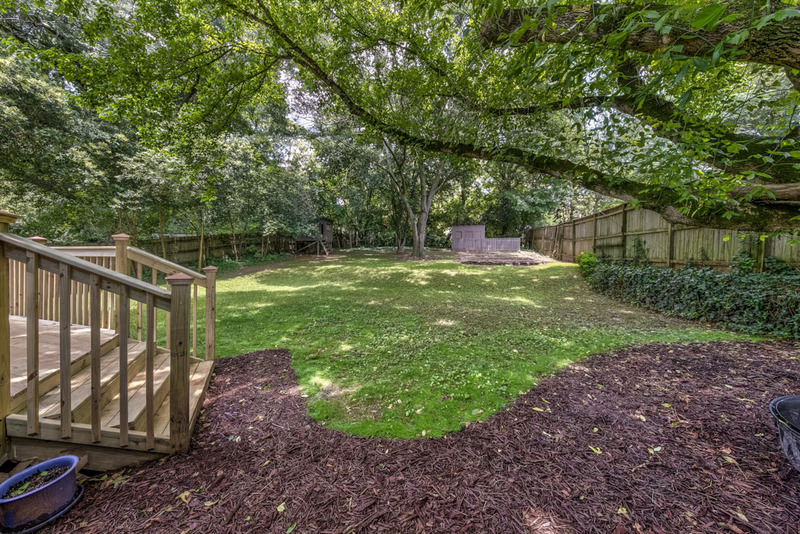 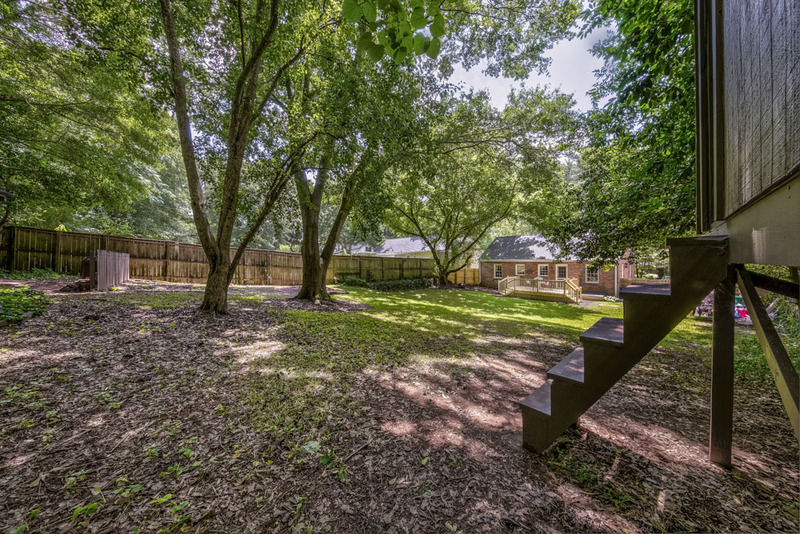 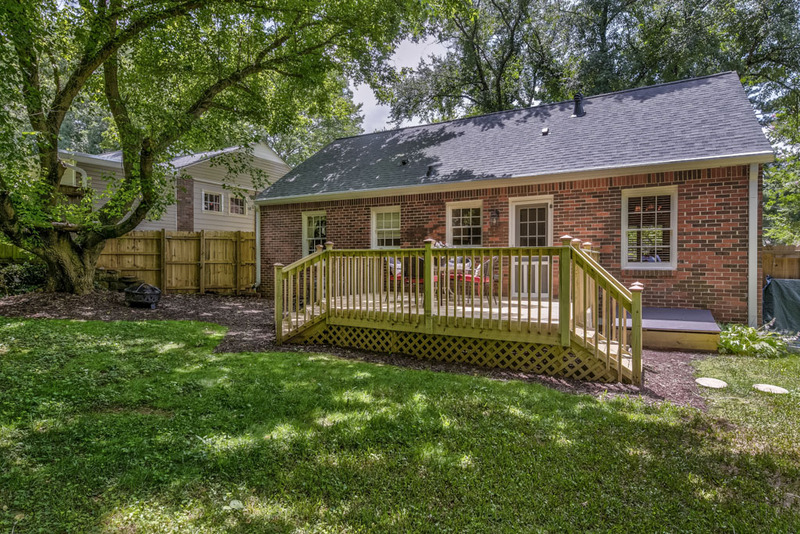 This fully fenced yard features two large storage sheds, a garden area, and lots of shade. 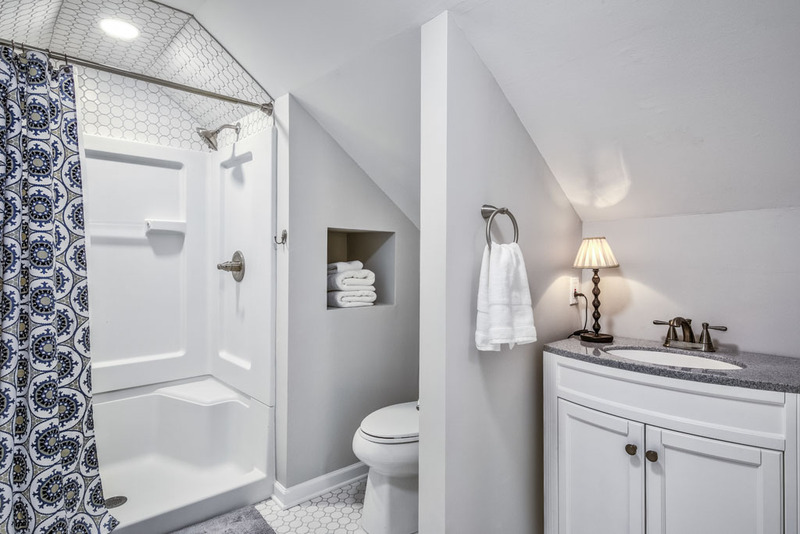 Down the hall of the main level is the first of two full bathrooms, which has been newly updated. 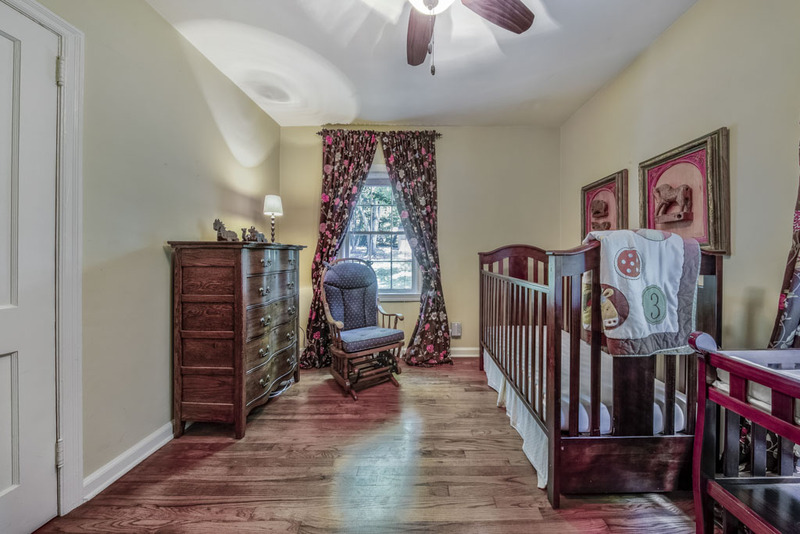 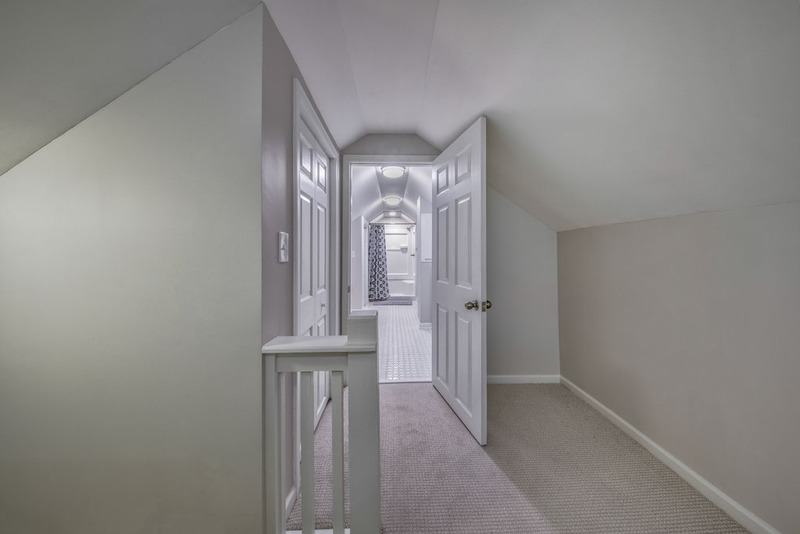 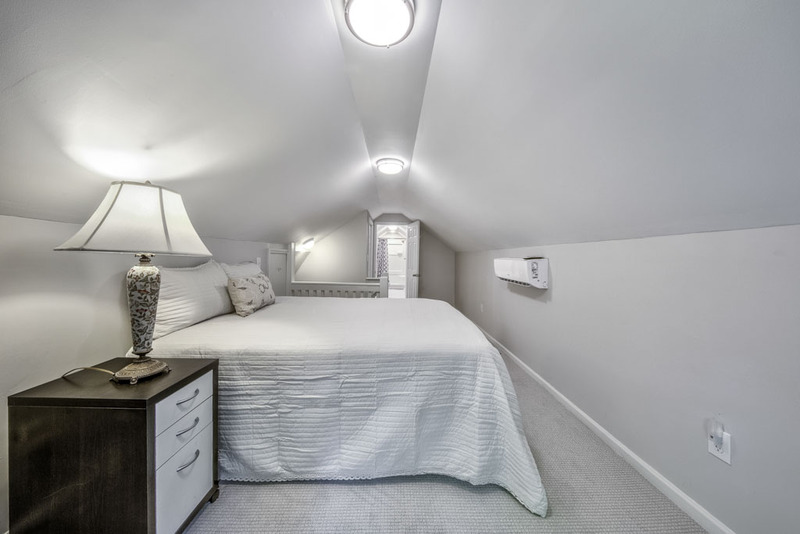 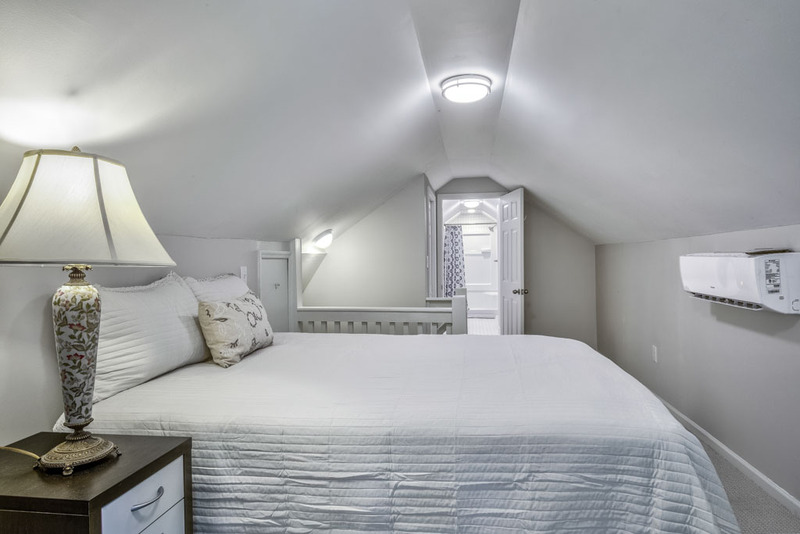 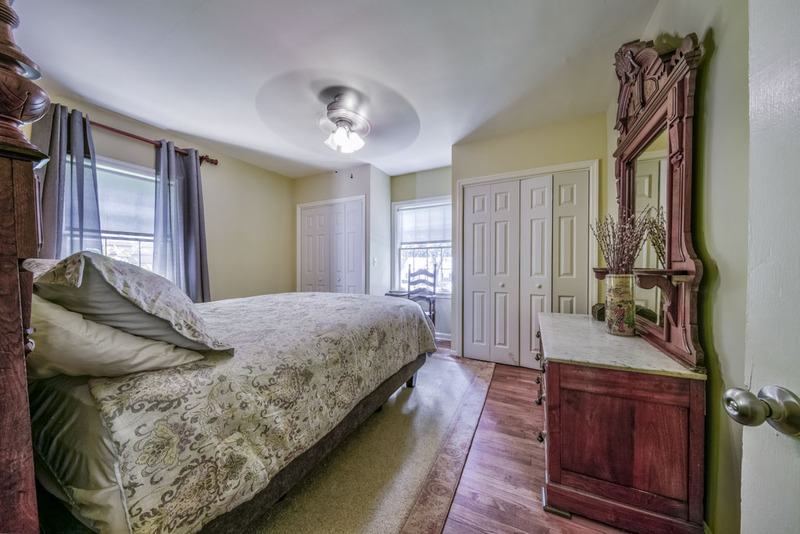 At the end of the hallway there are two bedrooms, one of which includes 3 closets and works well for those who prefer a master bedroom on the main floor. 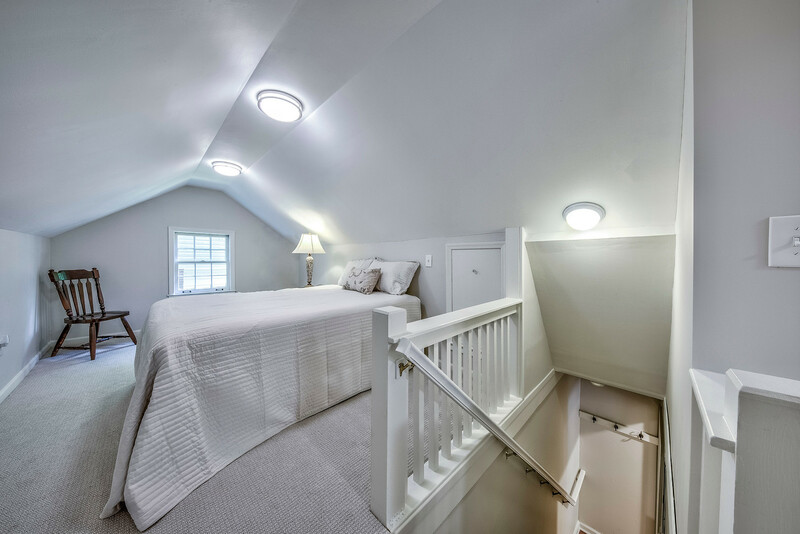 Take the stairs located next to the front door up to the third bedroom and second full bathroom. 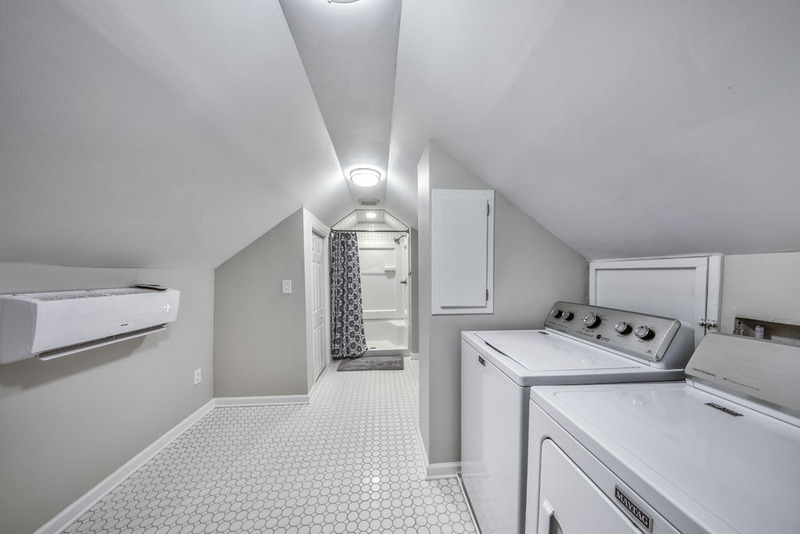 This bathroom is brand new with tile floors and lots of storage. 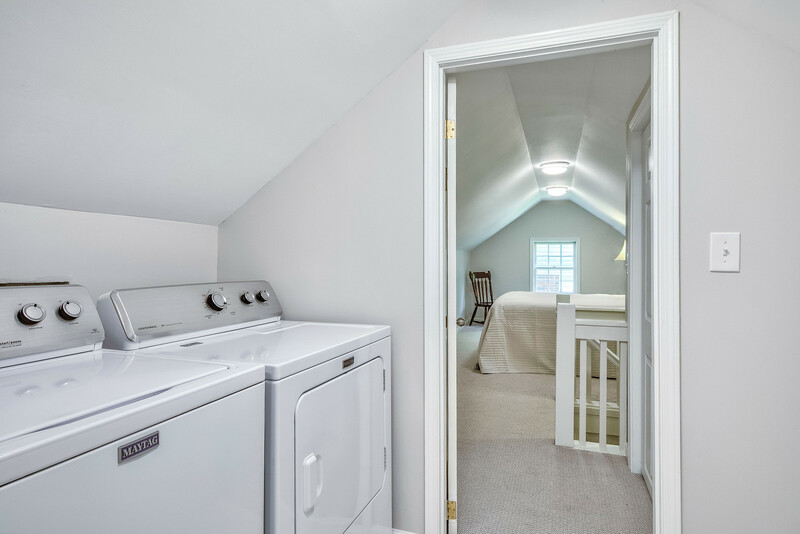 Laundry is also upstairs with plenty of room for a folding station. 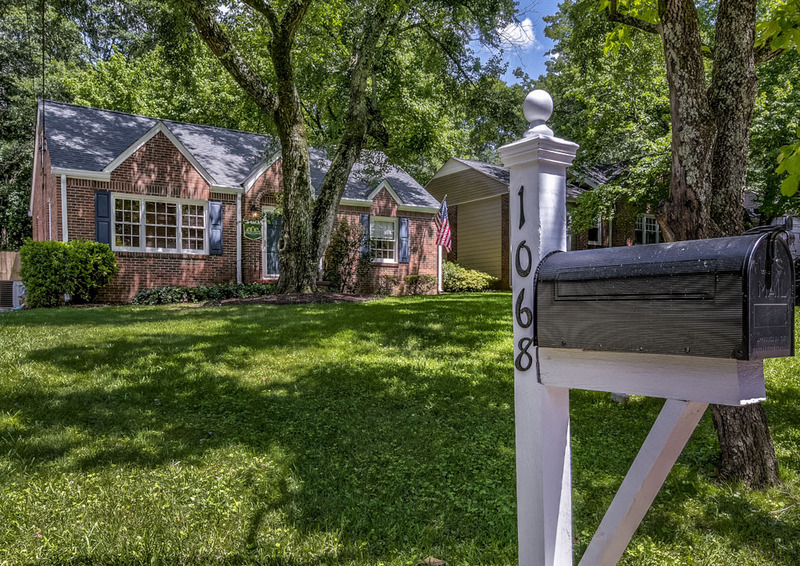 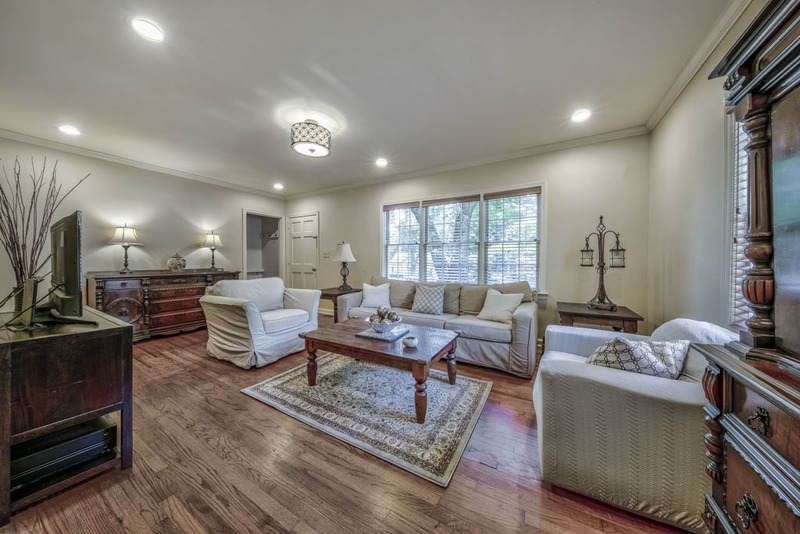 Forrest Hills is a well-established and highly sought after neighborhood because of its convenient location, serene greenspaces with creek views, wonderful neighbors, and walkability to the The Museum School.